HOUSTON -- Former President George H.W. Bush has been hospitalized in Houston with an infection, just after attending the funeral of his wife, Barbara, a spokesman said Monday. 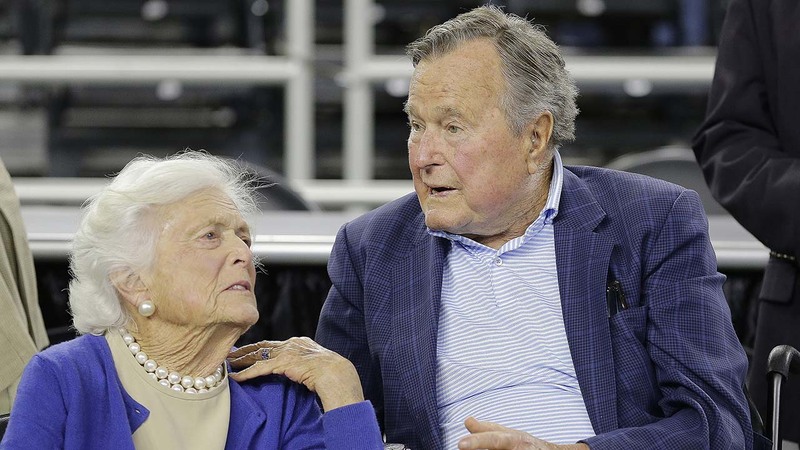 Barbara Bush was laid to rest Saturday in a ceremony attended by her husband and former presidents Bill Clinton, Barack Obama, George W. Bush and their wives, along with current first lady Melania Trump.